Workers compensation is available in Minnesota to workers who have suffered a work injury or who suffer from an occupational disease. Minnesota workers' compensation is a no-fault system of laws which was created to help injured workers get the compensation they needed for their work injuries without having to file a personal injury claim against their employer. Worker's compensation is provided to the Minnesota employee without their proving their employer's negligence contributed to their Minnesota work injury. 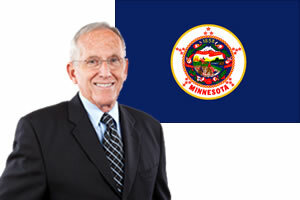 Minnesota Department of Labor and Industry regulates workers' compensation in the state of Minnesota. There mission is to "ensure equitable, healthy and safe work and living environments in Minnesota. Through outreach, education and compliance efforts, we strive to improve the quality of life for Minnesota workers and their families". They hope to achieve their goals by helping to keep the workplace free from injuries, ensuring employee's are provided benefits outlined in workers' compensation law and helping employees understand their legal rights in the workplace. Sustaining a work injury can be devastating, not only for the worker, but also the entire family. If you have been financially and emotionally hurt from a work-related accident, contact a Minnesota workers' compensation lawyer. Workers' compensation attorneys in Minnesota can help injured workers through the Minnesota workers' compensation appeal's process and can help them start receiving the medical benefits, lost wages and vocational rehabilitation benefits they need. Employees, who have been fired or discriminated against or who have a permanent or serious work injury, will need help from a Minnesota workman's comp lawyer. Work injuries may be covered under Minnesota workers' compensation law if they occurred within the normal scope of an employee's job. Workers who have been injured while they were intoxicated, attempting to injure themselves or others, who were travelling to and from work, who were engaged in intentional or willful misconduct, who showed gross negligence or who violated a clearly announced and enforced rule may be ineligible for Minnesota workers' compensation. Minnesota work injuries and occupational diseases which are commonly covered under Minnesota workers' compensation can include the following: Carpal Tunnel, Concussions, Heart attacks on the job, Strokes on the job, Amputations, Injuries from inhaling toxic chemicals, Closed head injuries, Paralysis, Burns, Spinal cord injuries, Abrasions, Electrocution, Puncture wounds, Post Traumatic Stress Disorder (PTSD), Pulmonary conditions, Back injuries, Neck Injuries. Minnesota's workers comp insurance provides a variety of different types of benefits to injured workers and can include medical benefits, wage loss compensation (permanent partial disability, permanent total disability, temporary partial disability, and temporary total disability), death benefits and vocational rehabilitation benefits. Medical Benefits - Medical benefits may be provided to Minnesota workers who are injured on the job. Medical benefits are provided without monetary or time limitations. Minnesota workers who are injured may receive medical benefits at no cost to themselves for the following services: hospital stays, rehabilitation, physical therapy, dental visits, prescribed medications, medical supplies and laboratory services. Under most circumstances, the Minnesota employee can choose their own treating physician and change physicians as needed, but talk to your employer before any physician choices are made. Temporary Total Disability Benefits (TTD) - Temporary total disability benefits (TTD) are paid to Minnesota workers who are temporarily unable to work due to their work injury. TTD benefits are paid after a waiting period. The TTD benefit payment amount is paid at 2/3 of the employee's gross average weekly wage at the time they were injured. TTD benefits are not paid indefinitely. Minnesota employees who suffered a work injury after October 1, 2008, will be paid up to a maximum of 130 weeks. TTD benefits will stop when either the maximum number of weeks has been reached, the employee is not taking part in vocational rehabilitation, the worker returns to their current job or they have found a new job. Permanent Partial Disability Benefits (PPD) - Permanent partial disability benefits (PPD) are paid to Minnesota workers who have lost permanent and partial use of certain body parts after their Minnesota work injury. Minnesota workers' compensation has developed a schedule for different types of permanent injuries. To determine PPD benefits, the worker's injury is evaluated and assigned a percentage rating. PPD is then calculated by multiplying this percentage by a certain dollar amount and the number of weeks to calculate the total amount of PPD the employee is entitled to receive. Permanent Total Disability Benefits (PTD) - Permanent total disability benefits (PTD) are paid to employees who are injured and are never able to return to gainful employment due to their residual impairments. PTD is calculated using a formula similar to TTD. PTD benefits are subject to a state maximum as outlined under Minnesota workers' compensation law. Vocational Rehabilitation Services - Vocational rehabilitation services may be provided to injured Minnesota workers if they are unable to return to the previous job or unable to find suitable work given their current functional limitations. Vocational rehabilitation services can be requested at any time and may include consultation with a qualified rehabilitation consultant. Services provided vary by state but may include: job training, a written rehabilitation plan, interview assistance and modifications to the workplace.